Why do our customers choose Ceramic Pro? The answer is simple, they want their vehicle to keep looking amazing while requiring minimal effort to keep it that way. Watch the product demo video below to understand why this is one of our most popular add-on services! Increased resale value to vehicle, motorhome, boat or motocycle. Vehicle stay cleaner longer between washes. Painted surfaces feel like butter, repelling dirt and water. Barrier of protection from UV and chemicals. Ceramic Pro will also protect tile, granite, textiles, wood, and other interior products. Making it a very versatile protection solution! 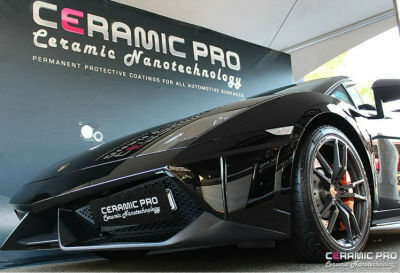 Contact us for more information on scheduling Ceramic Pro service!